To commemorate Armistice Day on 11 November, we decided to see what Sir Ronald Ross was up to during 1916 in terms of his war work. Up to 1916, he had undertaken a number of roles. In December 1914 Ross was appointed Consulting Physician in Tropical Diseases to the Hospitals for Indian Troops in England, this involved his visiting hospitals in Brighton, Bournemouth, Brockenhurst and Netley. 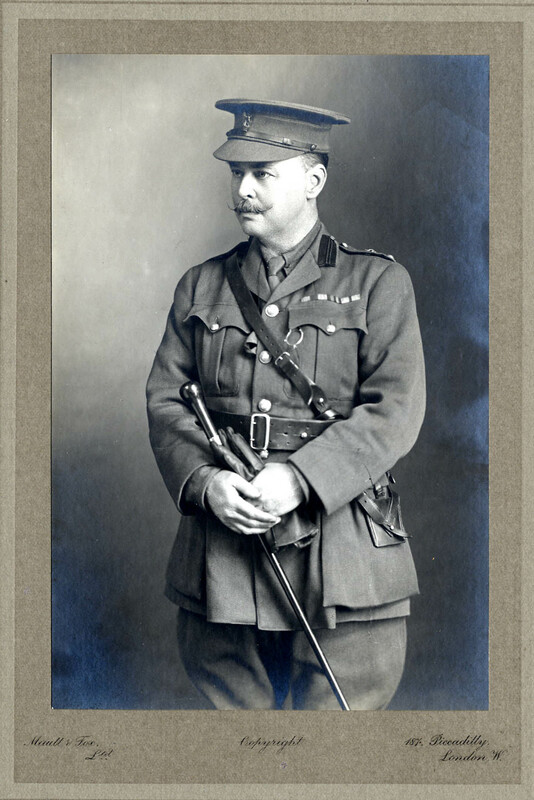 In July 1915 he was appointed Temporary Lieutenant Colonel, RAMC and was sent to the Mediterranean Expeditions Force as Consulting Physician on Tropical Diseases. 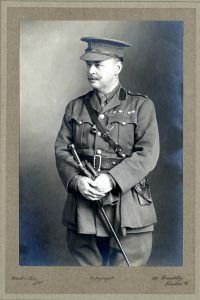 He was based in Alexandria in Egypt for four months and returned to Britain in November when he reverted back to the rank of Lieutenant-Colonel in RAMC, Territorial Force. In 1916, he appeared not to do as much war work, he was working on mathematics and wrote papers on pathometry with Hilda Hudson and he was also made vice-president of the Poetry Society. From the archives, we know that he was in correspondence with people involved with war work about malaria, for example on 16 November 1916 he wrote to Walter Morley Fletcher, Secretary of the Medical Research Council to recommend that all soldiers in Salonika should be given quinine as a prophylactic during the malaria season in the form of pills. There was a severe outbreak of malaria among the troops in Salonika in 1916, a combined British, French and Greek Committee was set up to advise on the problems in the area, Ross was not invited to join. I think it is high time that questions were asked in parliament as to why the greatest tropical sanitary expert in the world is not at present occupying some army post worthy of his knowledge and ability. I am perfectly certain that the American sanitarians including Surgeon General Gorgas are looking with blank amazement or will look when the sanitary faults in the East come to light and they will wonder why a blunder so preposterous was made, in that you were not in a post of high administrative authority with regard to the sanitation in the campaigns in warm climates. In 1917 he was appointed Consultant for Malaria, Southern, Eastern, Aldershot Commands and London district and given a room at the War Office. Much of his work related to coordinating the treatment of servicemen who returned to the UK with malaria including work at the Malaria Department at the 4th London General Hospital. He also gave advice and guidance to those working on trying to prevent the spread of malaria to UK citizens, over 500 were infected. In November he travelled to Italy and Salonika to advise on malaria, this is where he survived a torpedo attack. He returned to the UK in January and continued his work at the War Office apart from a trip to France in July on malaria duty. When the war ended, he continued to treat and advise on military pensioners who were suffering from the effects of malaria. « Dan Brown is in the Library!